This classic diamond solitaire ring contains a GIA certified H color SI2 clarity 3.06 carat Round Brilliant cut diamond set in platinum. The ring has a thin, delicate shank, which was designed to sit flush with a wedding band. 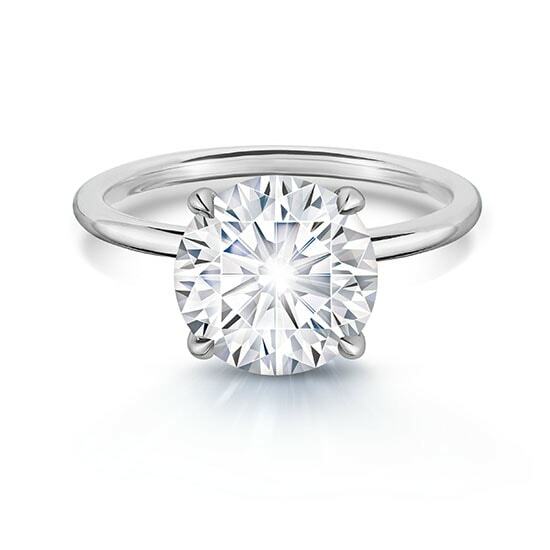 The center basket is sculpted in perfect proportion to the center stone and sits extremely low to the finger. The simple, elegant Douglas Elliott Diamond Solitaire ring has been in high demand with downtown New York women for the past 15 years. Also available in 18k yellow gold and 18k rose gold. Bespoke Design Services. Custom orders start with one carat diamonds from $5,500.00. 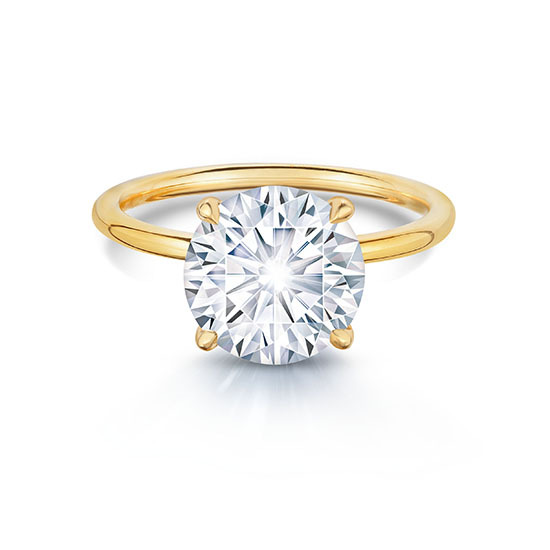 The DE solitaire can also be custom made with the colored gemstone of your choosing. Please contact us to schedule an appointment and explore the different options available to you. We look forward to working with you to create the perfect ring.